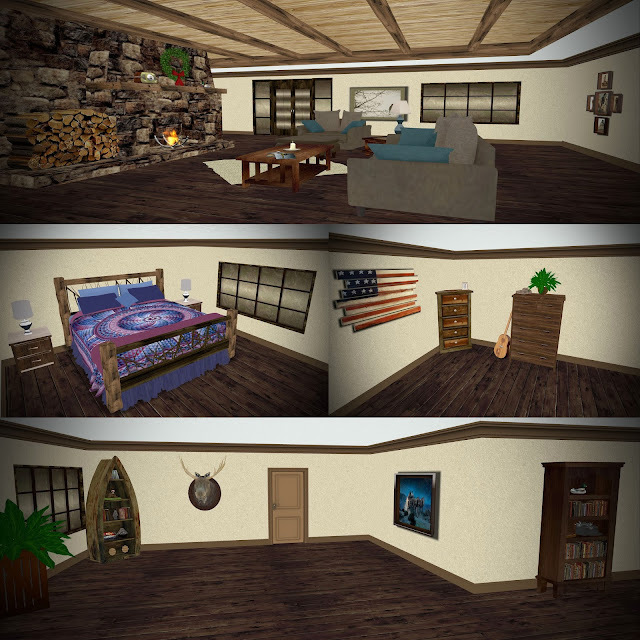 Today I'm bringing you a cabin from one of our sponsors @ Serendipity Designs. As seen above this cabin has a few options for the outside. Just plain outside, you can add snow, and also for the holiday have some deco! 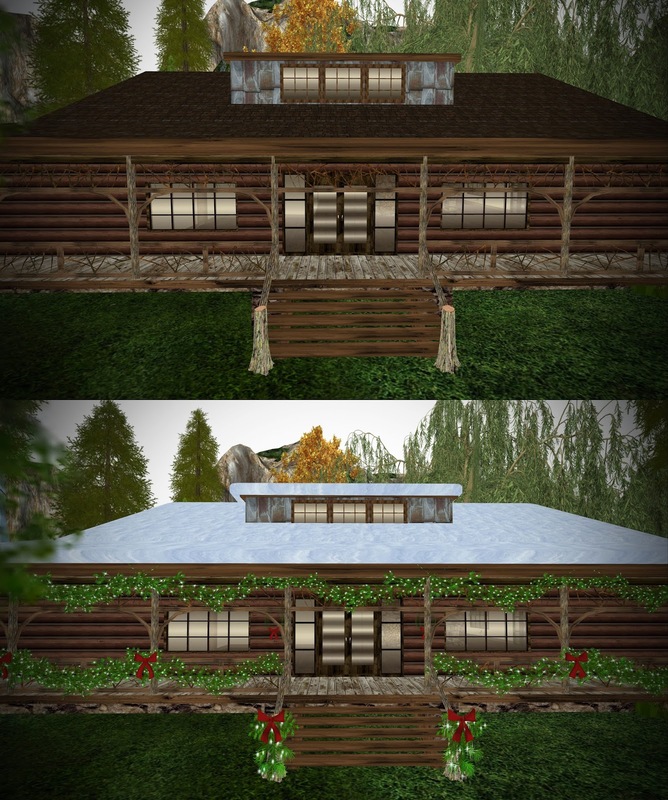 The snow covered roof will add 16 prims to your land, if you choose to add the holiday deco that will add another 106 prims. These are all part of the temp rezzer inside the house. They can be added or taken away with the click of a button! The cabin as a stand alone sits on a 35 x 28 footprint and runs a total of 276 prims. There is a great fireplace that is the center piece of this cabin. Warm up next to the fire with your family and friends! The cabin has a total of 3 rooms however the main room is cut in half by the fire place so it could be used as two rooms. There is plenty of room for all of your needs. The furniture in the pictures is available from Serendipity Designs as well. Her mp is still in the process of being set up, so feel free to contact the designer directly to purchase any of the items in the pictures. Lastly this cabin come with locking doors, window tints all in the same button system making this so easy to use. Serendipity Designs has a number of houses up for sale, all of them have a rustic feel to them. Be sure to take a taxi over to check out the full sim here. The owner is Kyra Ishtari feel free to contact her with any questions.